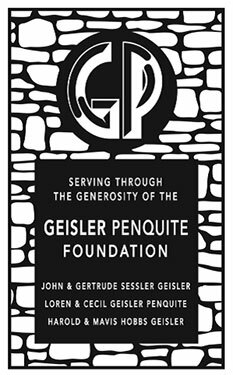 Established in honor of John and Gertrude Geisler by their children: Harold and Mavis Geisler, and Cecil Geisler Penquite and Loren Penquite, the Geisler-Penquite Foundation has endowed many projects in Central Iowa. Among the many beneficiaries of the Geisler Penquite Foundation is the Newton YMCA. The generation donations to the YMCA from the Geisler-Penquite Foundation is used to ensure all individuals wishing to have access to the YMCA through financial assistance for memberships, programs and child care.